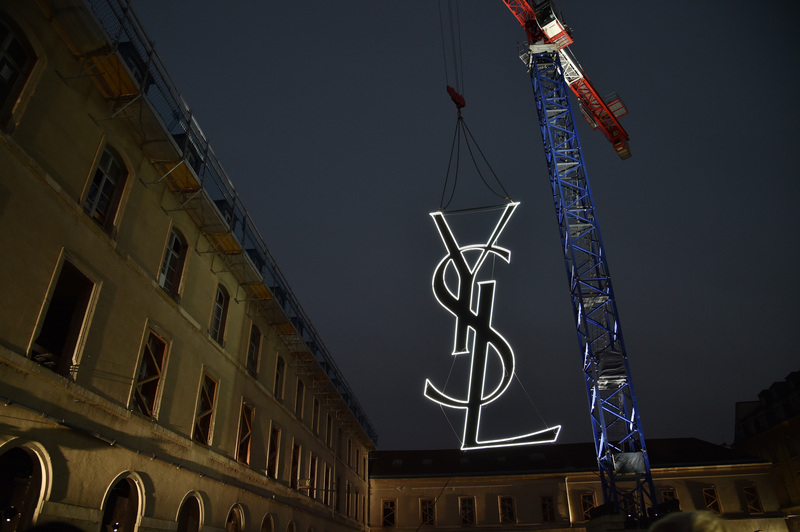 Last week, a new French documentary about the extraordinary, yet troubled life story of the late, iconic Yves Saint Laurent was released last week throughout France. The film marked 37-year-old Jalil Lespert's directorial debut, who hoped to make his movie both "a creation story and a love story," inspired by Laurent's famous love affair with former partner Pierre Bergé. According to The Daily Beast, it was important for Lespert to receive Bergé's approval when making his documentary. While Bergé gave Lespert his blessing, he didn't think it was necessary, since Laurent is definitely a national icon and no one would need permission to make a movie about someone as renowned as he. However, with another YSL documentary set to be releases in Spring (one with a more star-studded cast including Léa Seydoux and Willem Dafoe), Bergé decided to only work with Lespert. For this reason alone, we are betting that Lespert's interpretation is definitely the one to watch. In addition to receiving Bergé's unofficial endorsement, Laurent's late partner also lent Lespert vintage garments (which we cannot wait to see). Adding to the authenticity to the film is Pierre Niney's role as YSL himself, who's striking resemblance to the French designer brings real life to the story. Niney spoke about his role with The Hollywood Reporter, sharing how he prepared for the iconic, albeit intimidating role, saying, "I really tried as fast as I could to forget about that pressure... I worked for five months with many coaches, on drawing, style, sewing and a physical coach too, and there was a huge amount of preparation." There is no set date for when the movie will make its way to the United States. If you haven't seen the trailer for the film yet, you can watch it below. We hope you've brushed up on your French!